Every week Vietnam Airlines operates three flights from Hanoi to Sydney, while Jetstar Pacific now conducts three flights from Da Nang to Hong Kong. Vietnam Airlines launched its first direct flight from Hanoi to Sydney, Australia, on March 29, the start of regular flights linking the two cities. According to the government’s e-Portal, the national flag carrier’s new service will conduct three such flights a week, using Boeing 787-9 Dreamliner aircraft, with flights leaving Hanoi at 11.55pm every Tuesday, Friday and Sunday, and flights returning from Sydney at 3.15pm in summer and 2.15pm in winter every Monday, Wednesday and Saturday (all local times). Flight time is nine hours and 35 minutes. Vietnam Airlines already operates daily flights from Ho Chi Minh City to Sydney and Melbourne. 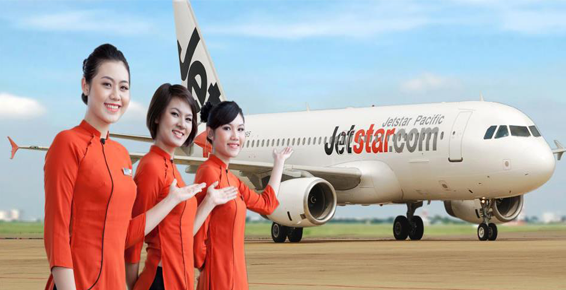 Earlier, on March 27, low-cost airline Jetstar Pacific launched its first direct flights from the central city of Da Nang to Hong Kong. It will operate three flights per week, on Monday, Tuesday and Friday, with tickets priced from VND290,000 ($13) per leg. Flights from Da Nang are scheduled to take off at 10.10am and the return flights at 2.05pm (all local times). Flight time is one hour and 45 minutes. This is the third international route from Jetstar Pacific, following those connecting Da Nang with Taipei and Singapore.